" CREATIVITY BEYOND IMAGINATION " is our Motto. Ansari Architects and Interior Designers is an award winning architectural firm located in Chennai, India. Our main specialisation and focus has been High End Turn-key Villas and Independent Homes . Architects and Interior Designers with an unique approach to design and customisation for clients. HBA is a distinctly creative and intellectually rigorous setup, designing projects that add value to the contemporary & public realm, apart from being commercially and environmentally aware. It is committed to designing buildings, places and interior spaces that are striking and innovative as they are socially, economically and environmentally responsible. We encourage, a strong working relationship with committed clients and creative consultants who understand the transformational power of design. HBA’s design philosophy is simple: design that enriches the prospects of a project. No specific style or look is attributed to our design firm; rather we constantly strive to create a customized concept in a project for each client from Modern Contemporary to Traditional Classical and are very involved in research prior to inception of the design process. We are interested in designing at all scales: micro to macro, from buildings to the public realm. We relish the challenges of designing a complete environment, working on large scale in terms of planning. We involve consultants & experts at an early stage in the process as we value their input on a conceptual and strategic level. SPACE CULTURE is an architecture, interior and construction based firm in Chennai. a team of young and dynamic architects with a unique approach to design and execution. we craft and implement with highest possible standards focusing on creating beautiful, livable spaces tailored to our client's taste and lifestyle. The design culture that involved in the space bridges the gap between creativity and execution. We cater the design, craft and construction into one seamless process in order to create an interactive experience with the client. We have worked with residential and commercial projects. Our team equipped with Architects, Civil engineer with over 35 years of experience in the field, and skilled men to execute our designs. 'No project is too small neither too big', and we work in close liason with the client at every stage of the project, either small scale and large scale projects. We provide unique and innovative design solutions to transform client’s dreams into reality. We are the Property Developers , Flat promoters, Contractors, Architects and Civil Engineers. Himayam Engineers and Builders was started in 1993, promoted by Mr. P. Ramna Reddy A.M.I.E. (Civil) professionally qualified Civil Engineer. The company was started after gaining good experience by working with one of the leading Flat promoters in Chennai. We have earlier promoted many apartments in prime localities. We currently have projects in some of the sought after localities like anna nagar, nungambakkam, R.A Puram, Mandhaveli and Kolathur. We always keep in mind about the Customer Satisfaction and value for their's hard earned money. 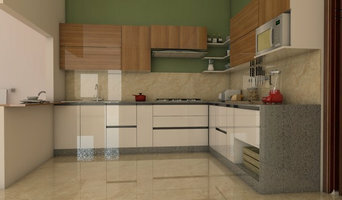 Providing architectural and interior design solutions. We offer both architectural and interior design services. Sometimes we also take up turn key projects for interiors. We do not differentiate between a low cost and a high cost project. All of them will receive our equal attention and enthusiasm. Murali architects, one of the innovative design practices in Tamil Nadu, offers services in Architecture and Interior design. An excellent team of Architects, Interior Designers, Civil engineers headed by the chief architect M.Murali, M.Arch., (Mc Gill –Canada) creates innovative and inspiring residential,commercial,institutional and hospital projects. Our projects are unique and possess qualitative architecture as an outcome of commitment to our core value of design excellence and are dedicated to research & development. We are proud of our reputation for quality design and efficient project management giving succesful design solutions. From the scribble for design to contract administration, we work tirelessly for a succesful and satisfactory outcome to you, our clients. Architectural Team The architectural design studio headed by the principle architect M.Murali, M.Arch., (Mc Gill –Canada), is supported by a wing of energetic & talented architects with proficient experience. Nature of Projects We have rendered our architectural design consultancy services for a number of bildings in and outside chennai to broadly classify, they can be brought under the following categories. Major projects at a glance, campus planning medical & allied facilities, Educational buildings, Residential complex, Industrial buildings, Commercial buildings, Hotels and Resorts & other projects. 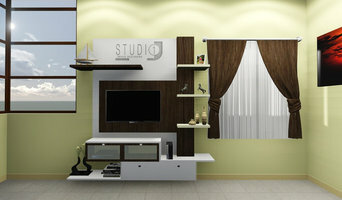 How do I find the best Chennai architect for my home design or renovation project? When building or renovating your home, you don't simply hire an architect or building designer — you build a relationship with them. Be sure you chose a home architect who will be involved in all phases of the design process, from the initial concept to the completed construction. Architecture is an incredibly technical profession and one where getting things wrong can literally put lives at risk, so ensure you hire a professional with a valid license or an architectural firm to maintain high quality and standards. Your next consideration will be architectural style. Some residential architects specialise in designing traditional homes or farmhouses, others in designing modern replicas of traditional homes. While a few have a knack for imagining bolder, more futuristic architectural design in Chennai that incorporates the latest technology. How much does hiring an architect in Chennai cost? Home construction and renovation often have a preset budget and hence it is important to understand how much architects charge. While there is no set payment structure, independent architects may charge differently from architectural firms. Architects sometimes choose to calculate their fees on the basis of a per square foot rate. In rare cases, especially with smaller projects, Chennai architects may choose to ask their clients for a fixed fee. Make sure the total figure and payment schedule is agreed as part of your contract, particularly if you are trying to accurately estimate the cost of building a house. 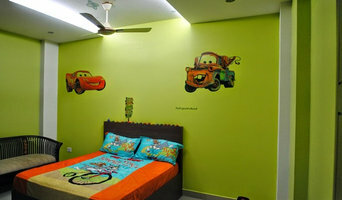 Find a home architect in Chennai on Houzz. 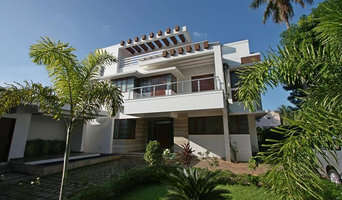 Narrow your search in the Find Pros section of the website to Chennai architects. You may also look through photos projects to find building designers in Chennai who have worked on a project similar to yours.